This 100% Bull Denim (10 oz. fabric) has been dyed an earthy shade of tan and enzyme washed for a softer finish. This apron is sized at 30 inches in width and 34 inches in length. 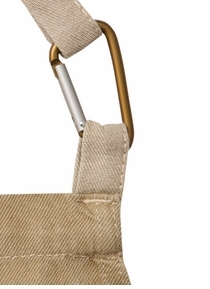 The neckline is adjustable and is secured with a very urban hip carabiner. 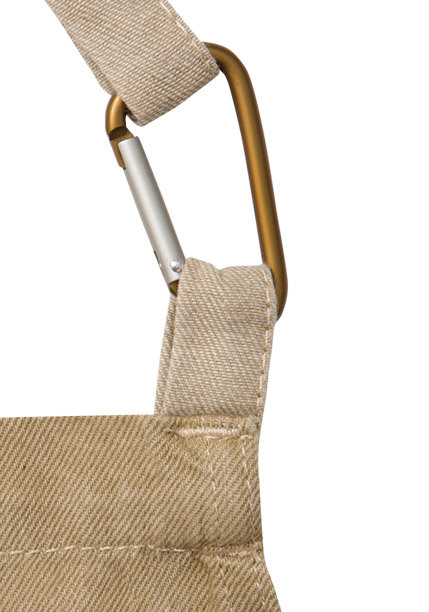 The ties are made from the reverse side of the fabric, yielding a lighter shade of beige. This sturdy apron is made to last with reinforced stress points. Wash after wash, few fabrics perform time and again like denim does. 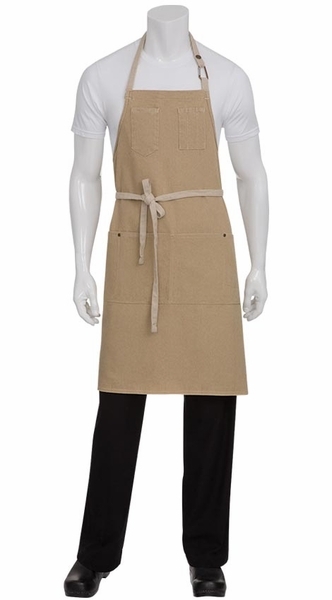 The apron features tweezer chest pockets, a cell phone hip pocket and double front pockets. Pocket holds iPad2 or similar device.